Last night i made my way to Pioneer Park for my first show of this summer’s Twilight Concert Series where Big Grams made their much anticipated visit to Salt Lake City. Big Grams consists of the Electro Rock duo, Phantogram and Big Boi of Outkast fame. 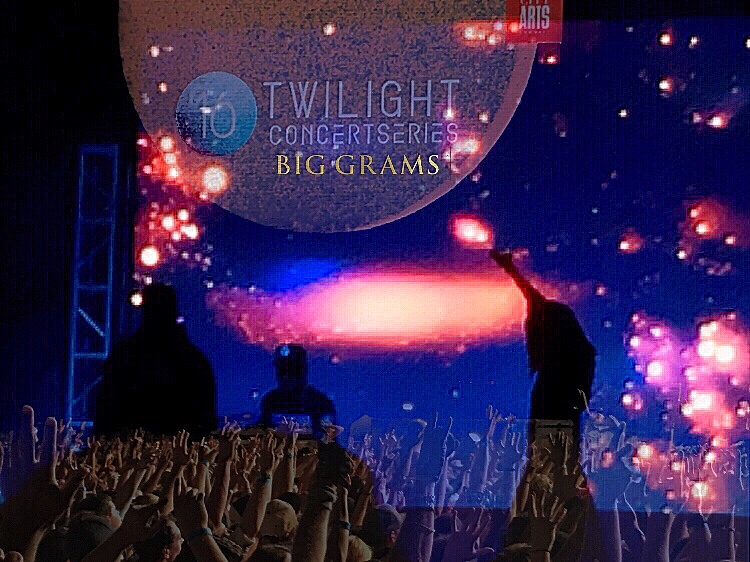 I believe both Big Boi and Phantograms have taken the Twilight stage in the past but this was their first time appearing together as Big Grams. Unfortunately I was unable to arrive in time to see the full set of Anderson .Paak and the Free Nationals. But I will say this, as I was walking into the park, I noticed the crowd already seemed in top form. They appeared to be the perfect opener for Big Grams. Big Grams took the stage just a little after 9 o’clock. They came out high energy from thestart, and in turn, the crowd was about as high energy as I have seen at Twilight. From the first beat of their set until the last note, the crowd did not die down. They were crowd surfing, sitting on shoulders, jumping, dancing, and from what I understand, even moshing. And without any surprise, Sarah Barthel, lead vocalist of Phantagrams and of course Big Grams, commented on how great the crowd was. Then stating,“The best we’ve had so far! And I’m not just saying that!” I feel like we’ve heard that before here in Utah, haven’t we? 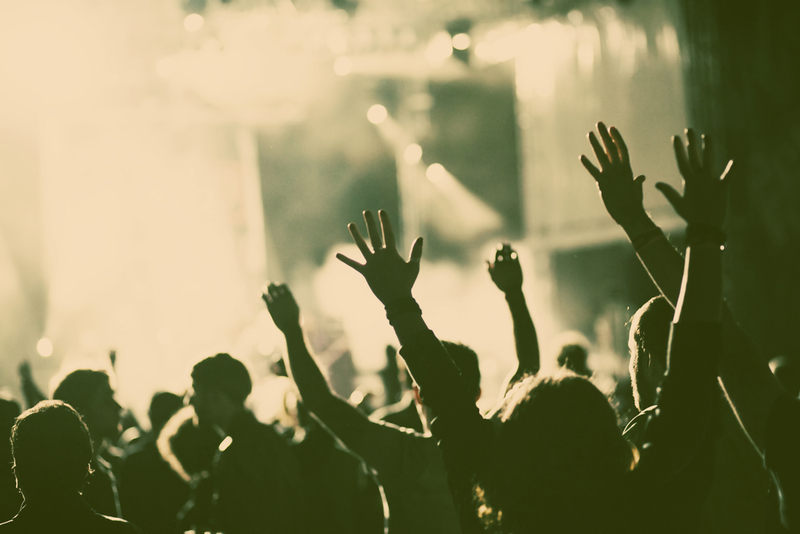 I’d say we hear that commentary in just about every show that comes through this concert loving state! Of course the crowd loved the compliment, and turned it up a few more notches for the remainder of the set. I’d have to say the highlight of the evening was the mashup of Ms. Jackson, of course a huge hit for Outkast, and Mouthful of Diamonds, one of Phantograms initial hits. As if the crowd wasn’t crazy enough, they pretty much lost it during this point of the show. So much so, that I was being bumped, pushed, basically shoved from all sides to the point that I was unable to get any video footage to share with everyone. If I had posted it you would have bet that I was filming a concert in right when an earthquake hit. I have to say for a supergroup like this, with only one EP released, there was a lot of excitement for them to come to Salt Lake, and for their visit they were gifted one of the most excited crowds I’ve seen. From what I’ve read, this EP is most probably their only collaboration. But if they keep putting on shows like this, and if crowds keep reacting like this one did, I don’t see how Big Grams can stop.